Ph.D 10 years of experience which at least 4 years at the Level of Associate Professor and with first class in all academic degrees. Ph.D 6 years of experience which at least 3 years at the Level of Assistant Professor and with first class in all academic degrees. The incumbent will be placed appropriately in the grade depending upon post Ph.D. experience and with first class in all academic degrees. 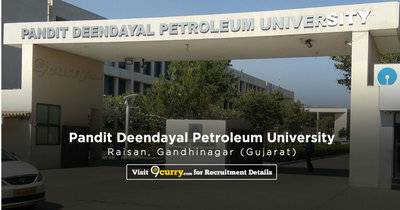 Eligible candidates may apply online at Pandit Deendayal Petroleum University's website (direct link is given below) from 12 Apr 2019 to 02 May 2019 till 06:00 PM.